Are You Hungry for Peace? I sure am. 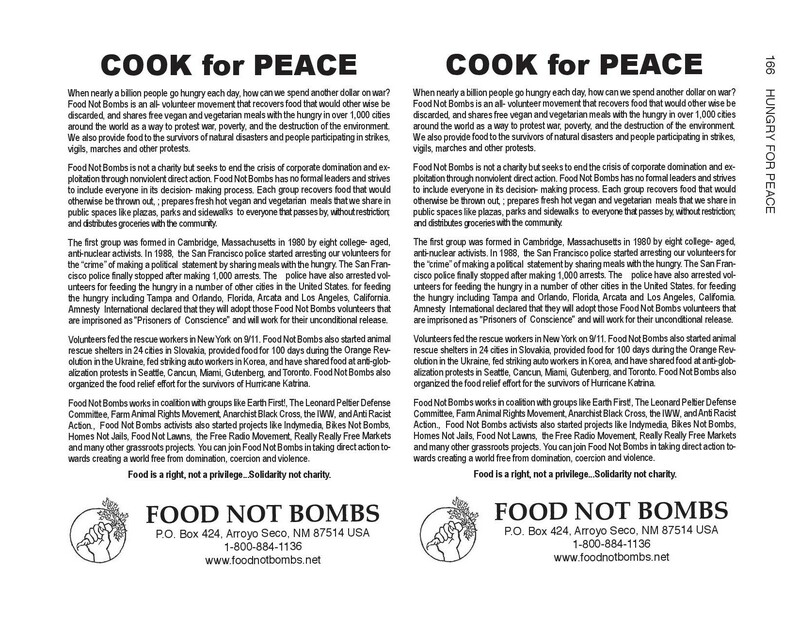 And what a pleasant discovery to know that Food Not Bombs has published a handbook to this effect, detailing tips and techniques for nonviolent direct action to contribute to their effort to help end war and poverty. Of course, we know there is not singular answer to resolving these great complex questions, but a handbook with ideas for action is always a welcome tool in the struggle. 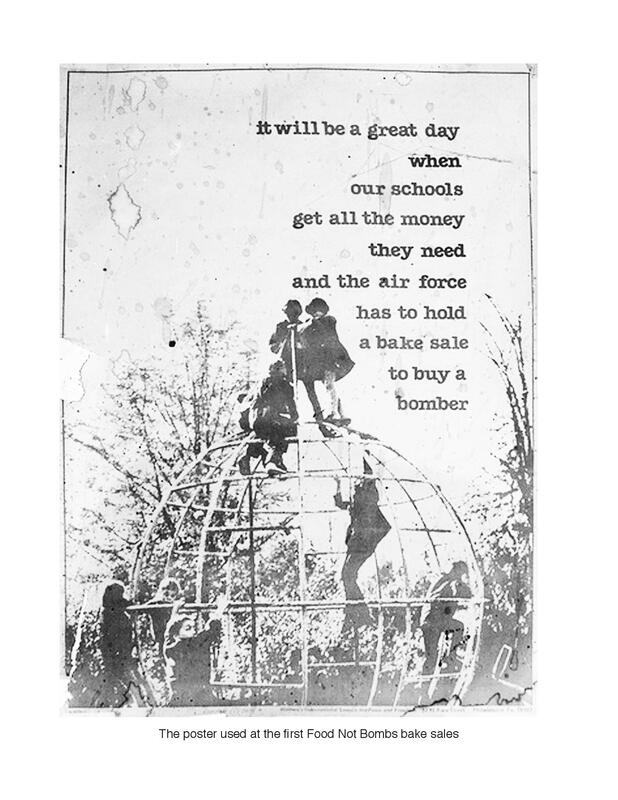 This entry was posted in Blog, Social Peace and tagged activism, cook for peace, direct action, Food Not Bombs, handbook, hungry for peace, nonviolence by hannahrenglich. Bookmark the permalink.